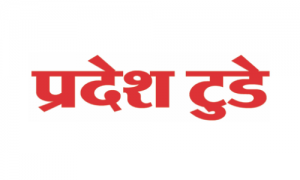 Business description from prospectus - Pradesh Today - a daily Hindi Newspaper, was launched in the year 2010. Thereafter, the newspaper was launched on a bigger scale and the mega launching of ‘Pradesh Today’ was carried out on 5th April 2011. In its survey phase only, it notched up a paid-booking of approximately 55,181 copies per day. The Company achieved its Break-Even within a period of one year. ‘Pradesh Today’ is the First Evening Daily of the Madhya Pradesh State which is providing all its 12 pages coloured and that too in an international size form of newspaper. It also introduced Morning Daily newspaper in the State of Madhya Pradesh in the year 2010. After establishing well all over Madhya Pradesh and Chhatisgarh States, the company introduced its newspaper in the State of Uttar Pradesh, Delhi & Maharashtra. Now it also has plans to start publication and printing in other States of India in the years to come. The company has a strong team of experts having wide experience in print media. Madhya Pradesh Today Media IPO allotment status is now available on Bigshare Services' website. Click on this link to get allotment status.